Independent family owned electrical contractor serving Asudtin and surrounding communities for over 15 years. JC Electrical Services offers full-service residential and commercial electrical work to the Austin, Texas and surrounding areas. Here are just a few of the things we can do. 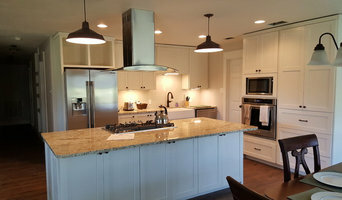 Please click on an item to find out more: Recessed Lighting Installation Install New Outlets Troubleshooting Faulty Circuits Ceiling Fan and Light Installation GFCI Outlet Replacement Whole House Surge Protection Electrical Panel Upgrades Install Smoke Detectors and much more! Solarator Electric LLC is a full service electrical contracting company which includes new construction. Unlike other electrical contracting services, we offer a whole variety of electrical services in both Residential and Commercial applications. At Solarator Electric we are trained in the art of troubleshooting so that when you call us to your home or office we can perform a timely and accurate evaluation of your electrical problem. We have the ability to quickly and accurately diagnose electrical problems and installations which saves the customer money because we won't waste valuable time trying to figure out what needs to be done. That way, when you have a situation that requires a professional electrician, you'll feel confident in calling on Solarator Electric LLC for help. Solarator Electric LLC has served its customers with a commitment to service and value. We have the experience and expertise in Solar Panels Services, Generators Services, Surge Protection Services, Electrician Services and many other services to get the job done right the first time. Our skilled professionals use only the finest tools and materials. Once we've made the necessary repairs, it's almost as though the damage never occurred. We provide personalized service and affordable rates. Landscape Lighting Guru brings over 25 years of combined experience in custom landscape lighting design and installation. Landscape Lighting Guru is part of a continuing legacy of landscape businesses that have been operating in San Antonio for over 20 years. We are passionate about lighting and believe that lighting is an art form of both light and shadows. 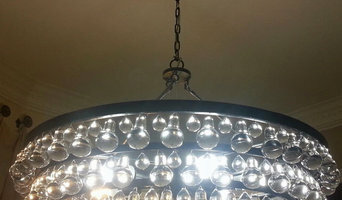 We create a custom lighting design based on your properties unique elements and needs. Our goal is to create a lighting system that works in conjunction with your landscape enhancing the beauty around your property. Here at Vega Universal, we offer the highest quality of craftsmanship, with the most professional staff at an affordable price. We can handle all of your construction or renovation needs. We do it all. We are a locally owned business that provides the best people for the job. Our customers receive the highest quality work for the most reasonable price. Don't trust amateurs when you need professionals. Give us a call day or night and we'll get the job done right! We consider you more than a customer. We are partners in success. Our goal is your success. We will guide our actions around your needs. We cultivate integrity as the foundation of every relationship we establish. Our clients, colleagues, partners, subs, investors, and including our competitors receive the utmost respect and honesty. Here at Vega Universal LLC, integrity means acting responsibly, honestly and being fair in every activity we perform. We know that our success is a result of right, thoughtful decisions, and ethical choices along with superior craftsmanship. We also know that our success is reflected by the ability to be Flexible, Resourceful and Responsive to your needs. Fusion Electric has been in business in marble falls texas for 16 years. 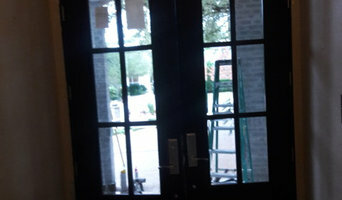 We are licensed and insured in Texas. Honest, dependable, courtious and reliable. 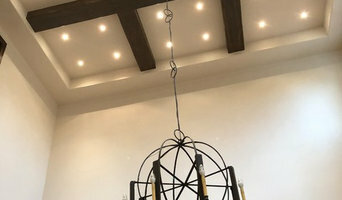 As a Design-Build team of Lighting Professionals with many years of experience, our goal is to lead you to Proper, Functional & Appealing Lighting. We customize the Lighting portion of projects through team work with Home owners and trade professionals to achieve customer satisfaction. Primarily our focus is Upper End Residential new construction and re-model projects in Central and South Texas. Our normal response is "Yes, we can Light that". Aside from good General Illumination, we are versed in specialty Art and Accent lighting, back lighting, cabinet lighting, including adjustable shelves and book cases, functional lighting for Kitchen, Bathrooms and Master closets. We provide competitive pricing for sustainable products. In order the Lighting portion of your project to run smoothly, we strive to follow "the Five P's"....... Proper Planning Prevents Poor Performance. Services: Design, Specification, Consultation On site and off, Product Supply/Procurement and Management, Implementation Guidance, Service after the sale.